Looking for your vehicles Owner’s Manual to download? 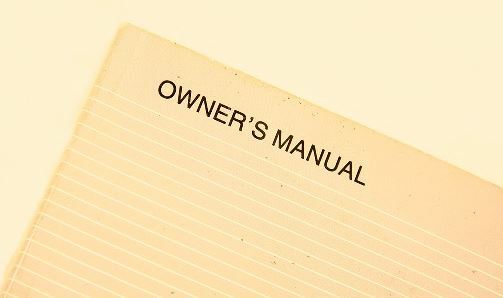 A vehicles’s owner’s manual may not be exciting reading, but they have valuable information about how to operate and maintain your vehicle. Following the maintenance and service guidelines will help to ensure the longevity and reliability of your vehicle. Here are some reasons you should read your owner’s manual. Refer to your owner’s manual to interpret any warning light that may appear on your vehicle’s control panel. If the light stays illuminated or begins to blink or flash, seek the assistance of a registered repair shop as soon as possible to limit damage to your vehicle and avoid costly repairs. Learn how to take advantage of your vehicle’s reminder system. These systems are included in many vehicles and can help you stay up to date on important maintenance services. Be aware of what services your vehicle needs and when they are recommended ( 30,000 miles, 60,000 miles, etc.). If your mechanic recommends that your vehicle be serviced, ask why the service is needed and if it is recommended by the manufacturer. Keep good records of all services done on your vehicle. Many manuals include helpful logs to record your service history and repair information. Here are some links to manufacturer’s website where you can download a copy of your vehicles owner’s manual. Now you can have a copy saved on your computer to make it convenient to look up information when your not in your vehicle. Looking for a used car dealer in Springfield MO? Never Say No Auto is a locally owned used car dealer that sells quality used cars, trucks, and SUVs. Excellent Bank financing options with Good Credit. Bad Credit or No Credit, we have our unique financing program with Guaranteed Credit Approvals. With 2 Locations, we have a large selection of used cars, trucks, and SUV’s in inventory.